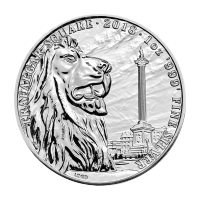 Order your 1 oz 2018 Somalian African Elephant 15th Anniversary silver coin from our online store today for the very lowest price! The critically acclaimed Somalian African Elephant series, from Genrmany's Bavarian State Mint, was introduced in 2004 and celebrates its Jubilee or 15 year anniversary with this special, low mintage release. The coin's reverse artfully combines the features from the series' début and last releases, both iconic feature elephants are joined in their savannah field by the year of the series' inception, the year of this release and the 15th Anniversary stamp. 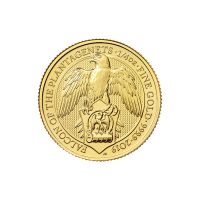 Also on the reverse, the series title, along with details of the coin's metal content, weight and purity. The coin's obverse features the beautiful Somali shield, which depicts two fearsome leopards, upholding a shield with 5 pointed star detail. Also on the obverse, the Somalian legend, the year of issue and the coin's unique denominational value. 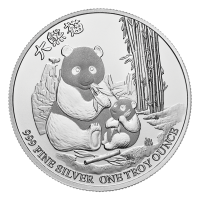 As with many popular wildlife coins, this series celebrates a species that is, tragically, on the brink of extinction...countries and mints of issue hope to spread awareness and secure a place in human hearts for these long-remembering, majestic beasts. Find a place in your heart for conservation, while bringing a little diversity to your holdings, with the stunning 1 oz 2018 Somalian African Elephant 15th Anniversary silver coin today. 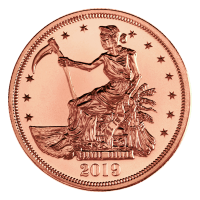 This coin comes in a clear plastic coin capsule. Voorzijde Elephants in a field. 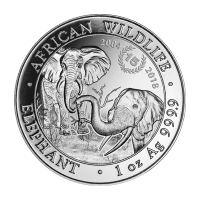 1 oz 2018 Somalian African Elephant 15th Anniversary Silver Coin Order your 1 oz 2018 Somalian African Elephant 15th Anniversary silver coin from our online store today for the very lowest price! The critically acclaimed Somalian African Elephant series, from Genrmany's Bavarian State Mint, was introduced in 2004 and celebrates its Jubilee or 15 year anniversary with this special, low mintage release. The coin's reverse artfully combines the features from the series' début and last releases, both iconic feature elephants are joined in their savannah field by the year of the series' inception, the year of this release and the 15th Anniversary stamp. 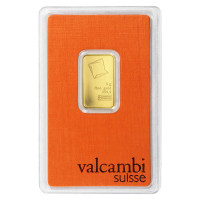 Also on the reverse, the series title, along with details of the coin's metal content, weight and purity. 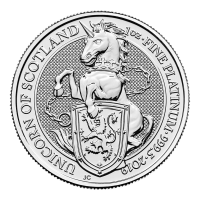 The coin's obverse features the beautiful Somali shield, which depicts two fearsome leopards, upholding a shield with 5 pointed star detail. Also on the obverse, the Somalian legend, the year of issue and the coin's unique denominational value. 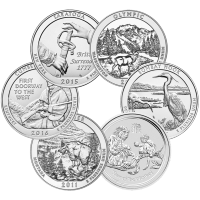 As with many popular wildlife coins, this series celebrates a species that is, tragically, on the brink of extinction...countries and mints of issue hope to spread awareness and secure a place in human hearts for these long-remembering, majestic beasts. Find a place in your heart for conservation, while bringing a little diversity to your holdings, with the stunning 1 oz 2018 Somalian African Elephant 15th Anniversary silver coin today.